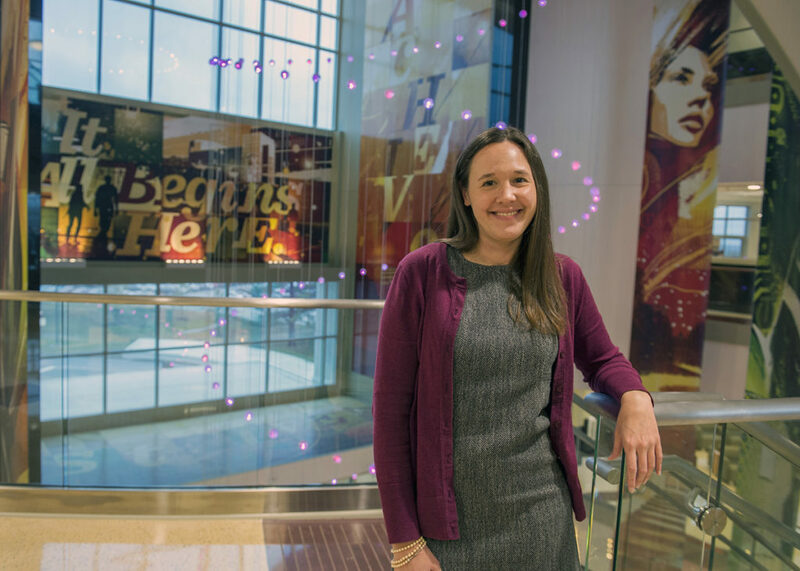 After working in undergraduate admissions for over 15 years, Amanda Sutton knows a little bit about solving behind the scenes problems. As the associate director of operations for undergraduate admissions, Sutton spends most of her time navigating records and reports. Yet, from her perspective, every file and piece of paper is just a representation of how far a student can go and how much they can achieve. Graduating with two degrees in speech communication from SIU, Sutton is passionate because she knows how the hands-on work can pay off in the end. As Sutton spends most of her day with student records and paperwork, her favorite part is working with the information so students can reach their goals. Her perspective is unique, because not only does she have a part in the recruiting and initial communication, but at the end of it all she gets to look at the numbers and see the results. This keeps her optimistic about the future and focused on what matters the most. Sutton’s next passion is for the dedicated people who work alongside her. She not only leads in admissions, but she also oversees the admissions processing and communications teams made up of multiple full-time staff members and 20-25 student workers. She credits the inspiring work environment for much of the success in the department. Whether it is navigating a new tech program or uncovering buried records, Sutton knows her team is ready to face the challenge as long as they keep working together and remain dedicated to the students. While originally from Alton, Illinois, Sutton came to Carbondale for school and then fell in love with the area. She purchased an old home that she is renovating and working to restore to its former glory. When she is not on campus or busy with a paintbrush, she loves exploring Giant City State Park and hanging out at the lodge.